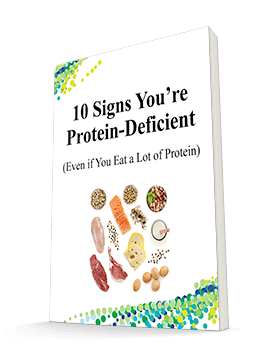 I have always had a problem taking amino acids or protein supplements. Even collagen supplements did not work for me, but this supplement give me the energy and strength I need to work out hard and recover. My son also takes it to help him get bigger and stronger and hopefully play college baseball one day. Thank you for this great supplement! I have reordered Perfect Amino XP after being introduced to the product in December. I will continue to receive it through auto shipment every month. I ordered PA on Dec. 31, 2018, and started taking it on Jan. 08, 2019. Seem to have accomplished some major healing of some nagging injuries that have been bothering me for several months. Although I am still taking something higher than the stated dose, I am excited about building muscle on this 66 year old body. I look forward to my next benefit from PA. It has been a little over 2 weeks since I started the product .At this point I have noticed my workouts improving.Muscle and joint stiffness has improved also.Looking forward to what week 4 will be like. I first purchased the tablets and noticed that I felt better than before. Because I take a lot of supplements, I than ordered the powder when the tablets were gone. Sorry to say, the taste was hard for me to deal with, so I have just recently ordered the tablets again. I do believe this is an important supplement for me. I am taking before sleep, and preserve muscle mass.. This tastes very nice which is half the reason i can take it no problem. I ordered the PerfectAmino XP Powder after I viewed the Video by Drs. Shallenberger and Minkoff. I had ordered the Perfect Amino TABLETS before, but found them hard to swallow. The video is very helpful. As soon as I received the order I started the supplement right away (one scoop in 12 oz. of water in the morning on an empty stomach. After taking your product for three weeks, I am feeling stronger and more healthy. All of a sudden after I start drinking this----I feel like a normal person. I am 90 years old and am thinking that it is this Perfect Amino drink that this is the reason. I will drink it FOREVER! This is a great product as I am feeling great improvement and trying to avoid whey protein altogether soon. 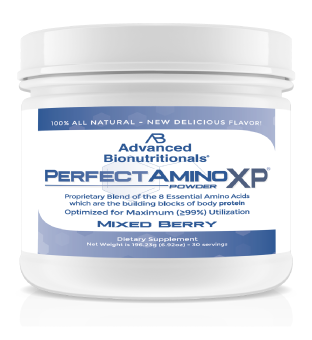 Be advised, I had my body tested for using Perfect Amino by Nutrition Response Testing and the results show that my body really wants Perfect Amino XP. I do a lot of research on products before I spend my money on them. I am reading that aminos are making the protein powders obsolete. I have no expectations before beginning a new product, so I was pleasantly surprised when I began to see and feel a difference! I noticed it first in my forearms. My skin smoothed out (ever so slightly), the little jiggle I was starting to see was tightening up. My ankles and feet didn’t hurt as bad. Then I ran out. So as soon as it fits into my budget, I will purchase a larger quantity. Thank you Advanced Bio. I did a previous review on PA's earlier and stated that I loved the boost it gave me in my workouts. BUT...I was getting VERY tired of choking down the 5 large pills every day. When I found out about that the powder was available, it was a blessing for me and I would much rather drink my amino's thank take the big pills. thank you very much for the perfect product (pun intended). Perfect Amino- Rated Protein 99% over other sources of protein. I feel much better,more energy and much stronger since I started taking the Perfect Amino tabs. Also I noticed the muscles on my thighs are firmer . I started using perfect amino powder two months ago and could feel the difference after the first few days. I have a condition that weakens my legs, so the natural loss of muscle strength with aging is a something I am constantly fighting. I feel more strength in my legs now in the days after my workouts, it feels like I have turned back the clock a year or two. 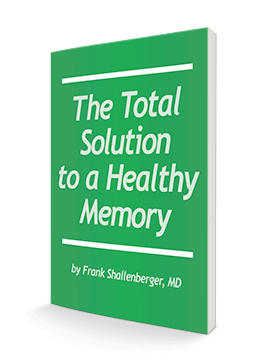 I also was having aching muscles in my arms on a fairly frequent basis, and that has mostly resolved after starting perfect amino. I've been using whey protein powder for years and this definitely is much more effective. I highly recommend giving perfect amino powder a trial run - you won't be disappointed. Love the taste with cold water and love that it is low calorie! I don't seem to have physical ailments or complaints, but as information in the health arena explodes and becomes easily attainable I consider possibilities of need in my make-up. Advanced Bionutritionals shares very helpful information to tweek considerations...in this case...of Perfect Aminos. Having read the supplement reviews, ordered, and used various products for over 15 years from AB, I find this company very trustworthy and consequently ordered the Perfect Aminos on this credibility. It seems to have a solid place in my regime for now. I highly recommend this supplement by Advanced Bionutritionals. I used the tablets before but find the powdered form easier to take and quicker into the system. what can i say moore good about the perfect amino. I do yoga and one day after my routine I felt as I had pulled a muscle in my right leg and it was aching a lot and nothing was working to stop. After three months of pain I decided to give a try to the Perfect Amino. It has been almost a month and the muscle feels a lot better and quite a lot less pain, I will continue to take it also because it will be great for my bones too. I have only been using this product for a few days and honestly can't really tell it's effect as of yet. I wish I had ordered the capsules, as the powder must be mixed in water and taken 20 min. before eating or 2 hrs. after eating. This is a bit more difficult than expected. I believe this is a good product, time will have to tell for sure for me. very pleasant tasting ,I am have delayed taking your product as I am about to start a physical exercise programme guided by a professional adviser. Your directions for use is that I should take this product immediately after exercise. YES, I'M TAKING YOUR PRODUCT. IT GOES IN MY MORNING SMOOTHIE AND TO BE HONEST THERE IS NO WAY I CAN SAY "OMG - IT'S AWESOME ". I HAVE TO HAVE FAITH IN WHAT YOU SAY IS TRUTHFUL AND IT IS INDEED GOOD FOR MY BODY. I AM ON MY THIRD JAR. THAT'S BEING HONEST. GOOD LUCK. I added this to my regular workout and supplements. Have definitely noticed the gain. However, I will warn those to read the label before buying. I probably will not buy the product again because it contains so much artificial sweetener. On My 3 jar and haven't notes much improvement. I was using 2 scups today cut back to 1 almost used what I payed for. No benefits or improvement, in fact I would NOT PURCHASE this product again. I should have checked the ingredients before purchasing. I do not like citrus flavoring and especially stevia in anything. I gave it away after one try.